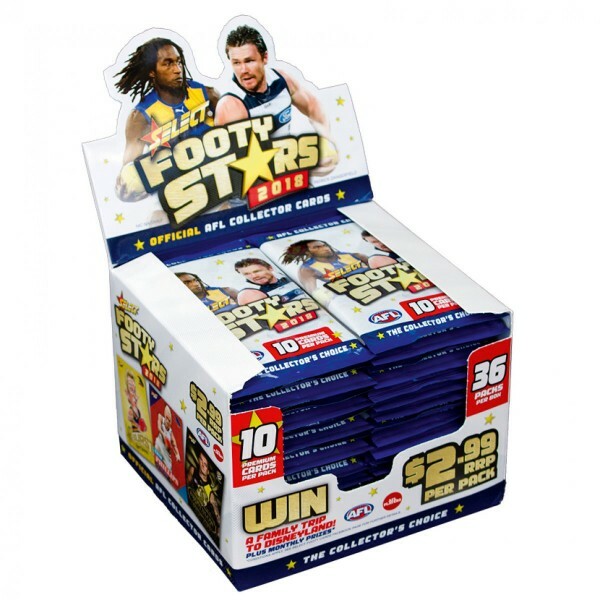 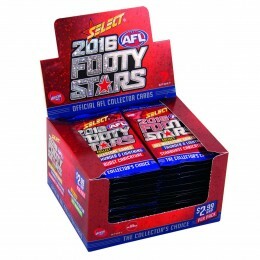 Select Australia 2018 AFL Footy Stars one Factory Sealed box. 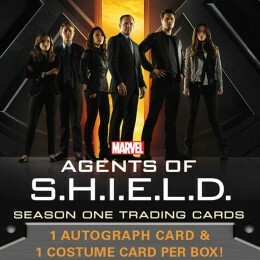 Each box contains 36 packets with 10 premium cards per pack. 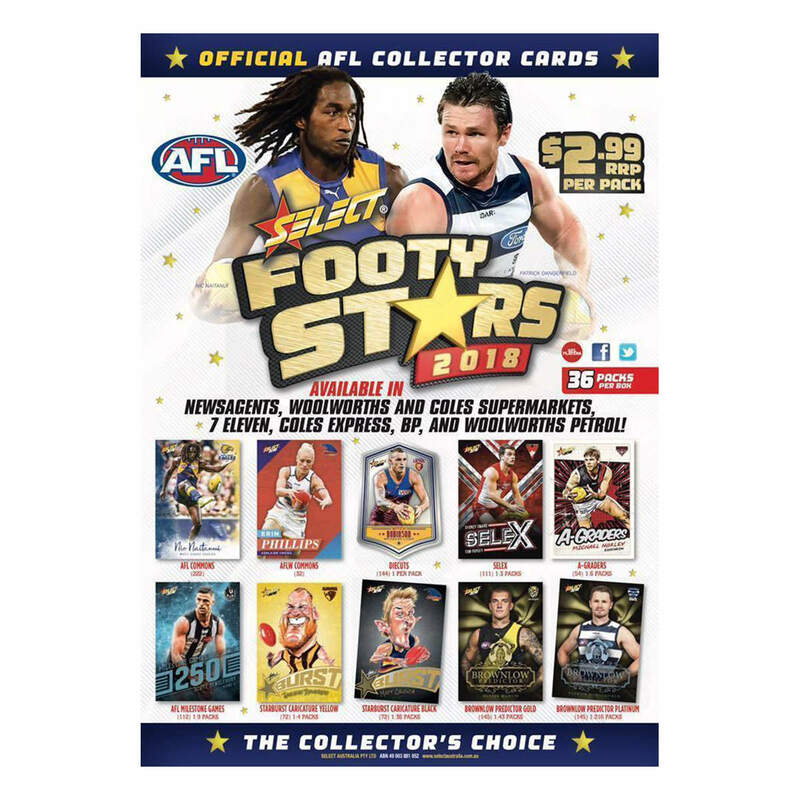 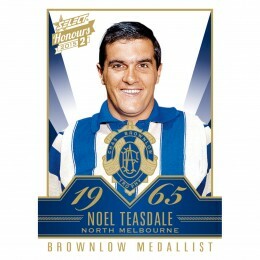 Collect all the great AFL players from each team plus find some exciting insert cards. 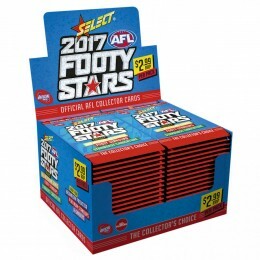 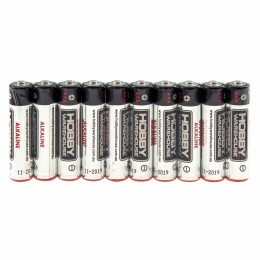 There are 222 AFL Common cards within the set. 32 AFLW Common cards. 12 Star Players from each team plus 6 checklists.